The most interesting and exciting part of the festival is the Kasadya Streetdancing Competition. It is rite performed by the "Dumagats" (now Christians), the Maranaos (Muslims) and the Higaonons (lumads or natives). Each participant is wearing colorful tribal costumes and dancing to the beat of loud drums. Take a direct flight from Manila to Cagayan de Oro City via Laguindingan Airport. From the airport, travel to Iligan City with passenger van. 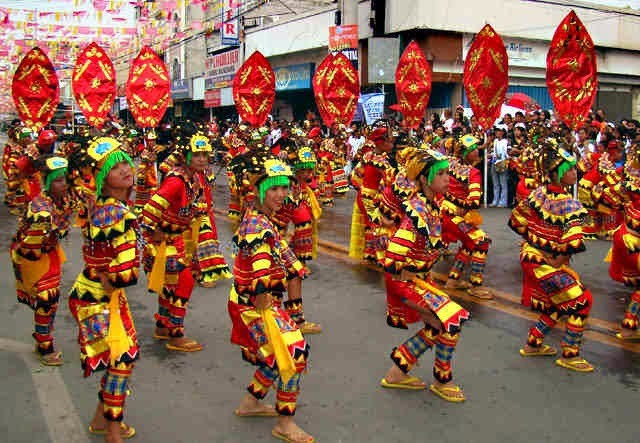 If you enjoy attending festivals like Sinulog in Cebu, Kadayawan in Davao, Dinagyang in Iloilo, you would definitely love and enjoy the entertainment in Diyandi Festival in Iligan City. Viva Sr. San Miguel! Viva Mahal na Birhen!